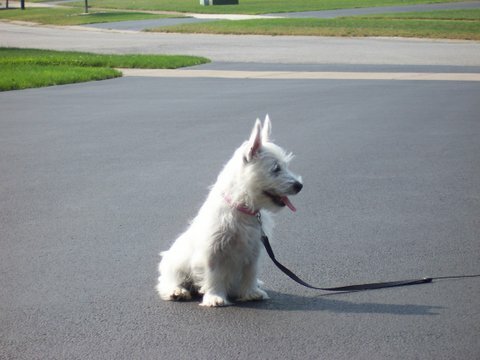 Cami was purchased from a westie breeder in Indiana as a puppy. 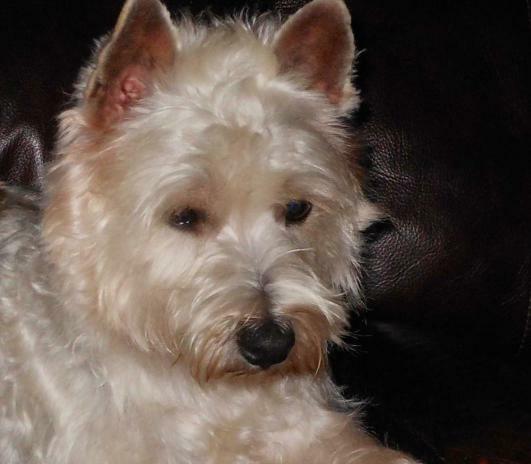 Her "family" in Indiana has many of the same standards as BEST WESTIE does especially with regard to health and temperament. 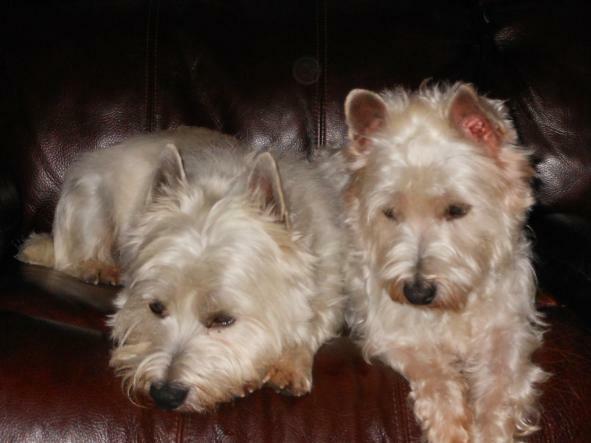 Their dogs share the home with them (they are family dogs, NOT kennel dogs!) and the puppies are raised in their home as well. Cami is a loving, sweet girl who loves attention but is not overbearing. 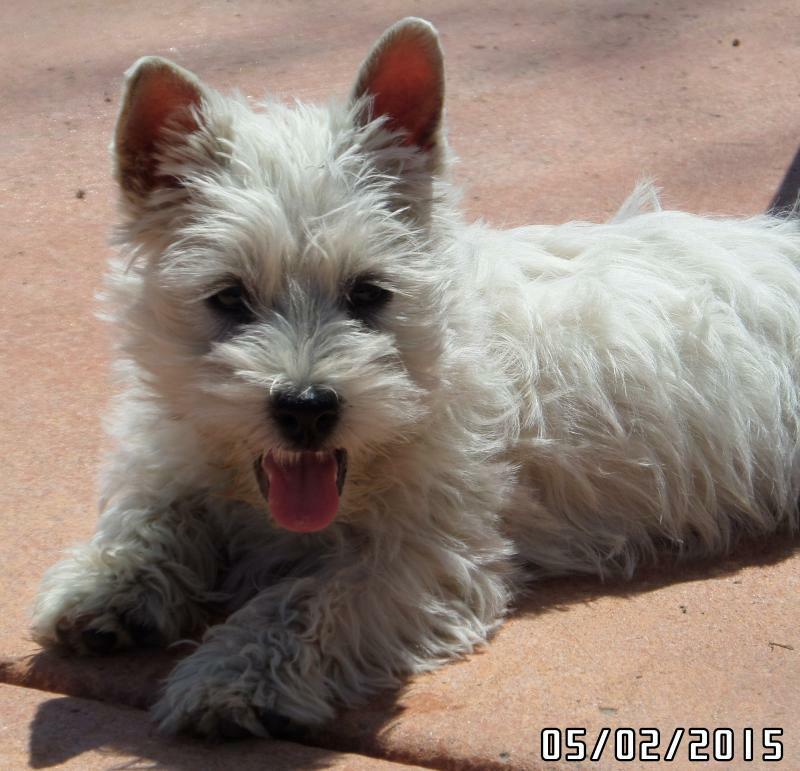 She enjoys playing with her westie companion, Sprocket (an Amy x Parker son), camping, swimming, playing fetch, going for walks (she runs!) or helping with any task you may be doing! Cami and Sprocket live at very close friends' house in Marilla, NY. Cami weighs about 19 lbs and is clear of any health problems.